If you feel like you need professional help from a residential landscape company, now is the time to start the process before the heavy planting season begins. But how do you choose the right company? 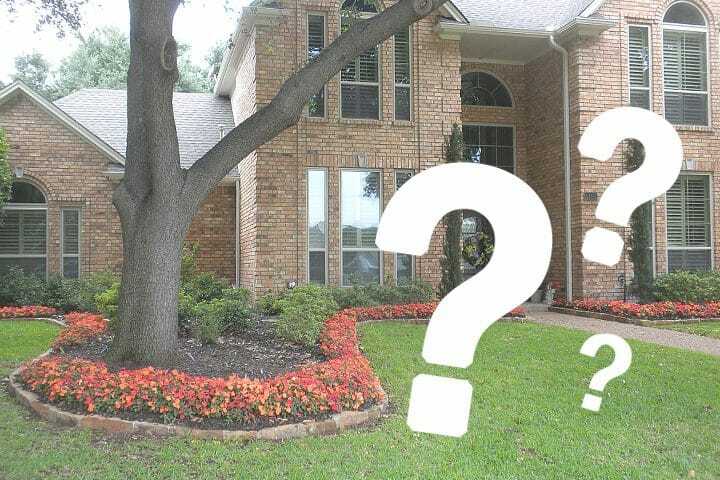 It can be a daunting choice because of all the landscapers in North Texas. Hopefully these tips will guide you smoothly through the process. All reputable landscape companies will have an online presence. This is a good place to start reviewing options and making comparisons. You want to find someone who offers a variety of services from design through installation. Look for reviews on social media and resources like Angie’s List. Don’t just choose a company because they are the cheapest – it’s true that you get what you pay for. Get a clear picture in mind of what you want to accomplish. Are you only interested in lawn improvement and on-going maintenance? Do you want a complete landscape design with installation? Are you looking to include hardscape improvements like patios and water features? Being clear on your goals will help formulate the questions you will need to ask potential companies. Talk to friends, families and neighbors about who they have used and what the results were. Many communities these days have Facebook pages where folks post recommendations or ask for referrals. Take advantage of all these options to ferret out the landscape company that offers the services you need and has a solid reputation. This basic information will protect you from being liable for any damage or injury on your property. If the company will be using contract labor then you will also want to inquire about a lien waiver so that you are not held accountable to pay independent workers. The company you choose does not need a 20 year history, but you want to be sure they are someone who is established, can deliver on what they promise and are not a fly-by-night operation. What specialists do you have on staff? If you are doing complete design of a new residential landscape then you want to be sure they have a talented landscape designer on staff or available on a consulting basis. If you have any issues with existing trees you may need the experience of an arborist. At the very least, you will want a tenured horticulturist who understands the climate, conditions and plant options for North Texas. If you want to start work tomorrow it won’t help you to hire a residential landscape company who is backed up for several months. You also want to be sure that the company will stay on your site until the project is complete and not leave half-finished work. Inquire about their commitment to a project. Initially they should provide rough sketches of their design recommendations. Once you are assured everything is on the right track, complete professional designs should be delivered for your approval, especially if you are doing hardscape work. You will want to know the size of the crew and if any large equipment will be needed for the work. Most communities require that permits are filed so make sure they know how to follow these procedures. Most professional residential landscape companies will offer a guarantee of their work, typically one or two years. This is particularly true for hardscape work like fountains, decks and patios. Plant materials may have a shorter guarantee time span. Ask for the guarantee in writing when you sign on with the company. Who will be my on-going contact for the work? Communication and follow through are as important as the actual landscape skills. You will want to work with someone who demonstrates professionalism, good communications skills, and an understanding of your goals. Weigh these traits as heavily as you do their work. Always ask for references and ask to see photos of their past work. Planning a beautiful new residential landscape should be a fun, exciting project. Taking the time to research and review your options before jumping in will ensure a smooth experience and a terrific end result.